A favicon is an icon associated with a URL that is variously displayed, as in a browser&apos;s address bar or next to the site name in a bookmark list. Step 1: Navigate to the "Settings" panel and scroll down to the "Extras" section. 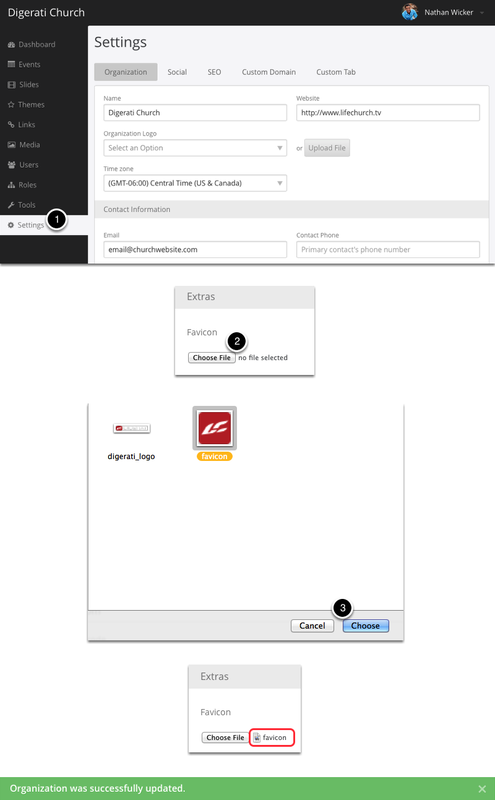 Step 2: Click the "Choose File" button to begin the process for uploading your icon. Scroll to the bottom of the page and save your changes. Your icon will be uploaded and you will see the green "Organization was successfully updated." alert. Your custom icon is now visible to all your users!